Find out more about our company and how we can be of service to you and your loved ones. 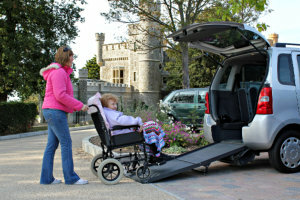 To offer safe, suitable, and convenient non-emergency medical transportation services to individuals with health challenges and limited mobility in order to promote their health and overall well-being. We provide residents of Woodland, California and its neighboring areas with non-emergency medical transportation services. Our company was established in order to make a difference in the lives of individuals with health challenges and limited mobility. By giving them a safe and convenient mode of transportation, we are able to eliminate the challenge of finding a ride, as well as promote their overall well-being. We take pride in our staff members. Molded by years of experience and a genuine need to serve others, they are adept at transporting our clients safely and comfortably to their appointments. So when you are looking for a convenient and trustworthy source of non-emergency medical transportation, you can turn to Advance Transport Services. Request a free estimate or book a ride online. For further details about our company, transportation, and rates, please give us a call at 916-436-6953.